Lakehead’s women’s volleyball team stepped up from their mid-day loss on Friday to the Western Mustangs, but ultimately lost the rematch in straight sets. The Thunderwolves took 17 additional points from the Mustangs in the Saturday match. Lakehead drops to 1-13 with the loss. In addition to scoring more points, Lakehead showed improved discipline in today’s game, as they finished with 15 fewer errors as a team and a hitting percentage .258 points better. The Thunderwolves were again led by Rheanna Geisel, who finished with a match-leading 19.5 points. Virginie Franks added to her string of strong games in 2019, adding 7 points to the Thunderwolves total. 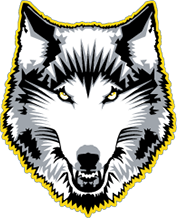 Thunder Bay native Jessica Korchak finished with 4.5 points of her own, and Abigale Green and Rebekah Hara took part in Lakehead’s recent youth movement, adding 4 points each. The Thunderwolves travel to St. Catharine’s next for a game against the Brock Badgers tomorrow at 1pm.